Remembering back to reading I’d done years ago, I initially was apprehensive about attempting a repair myself. 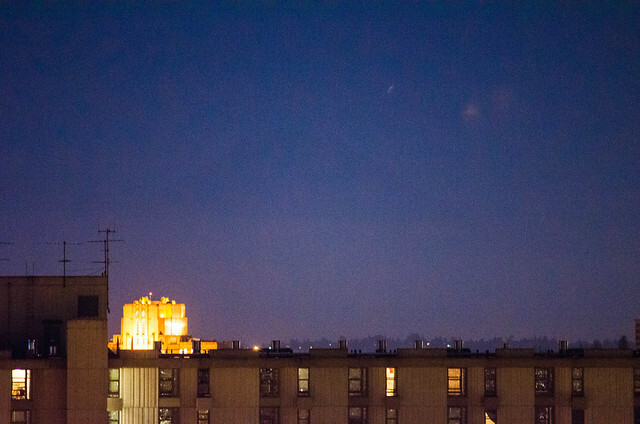 The whole system is more complicated than a normal halogen setup, so I wasn’t even certain what the root cause was. Rather than repairing myself, I planned to have my mechanic take care of it for me. But, when I saw that the list price on GetBmwParts.com for the replacement bulbs was around $200 each, I feared I’d spend somewhere close to $500 for the repair, that is, if the bulbs were the issue. Absolutely absurd, especially considering replacing headlights on any other car has never cost me more than around $50 for the pair. In fact, on my Civic, the last time I replaced a bulb, it was $10. So, I set out to figure out if I could troubleshoot the problem and fix it myself. One of the advantages of having a car that’s more than 15 years old is the abundance of content available online. 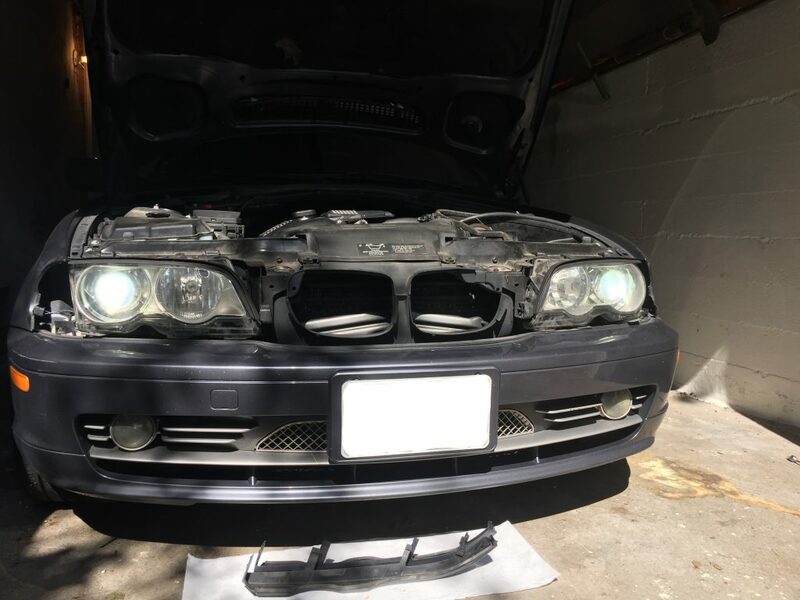 I found a helpful thread on E46 Fanantics with troubleshooting instructions. The first step: swap the left and right bulbs to see if the problem followed. 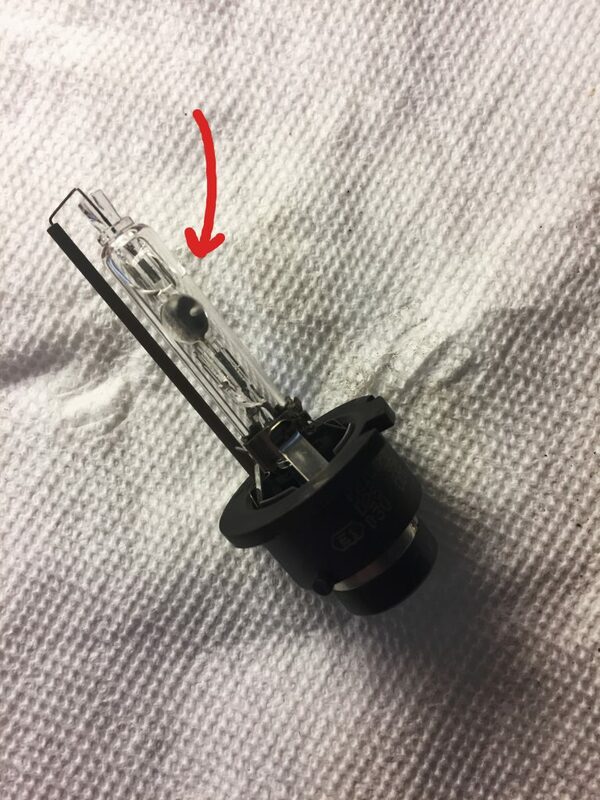 I swapped the driver’s side and passenger’s side bulbs to confirm, and the problem followed. Conclusion: the bulb needed to be replaced. 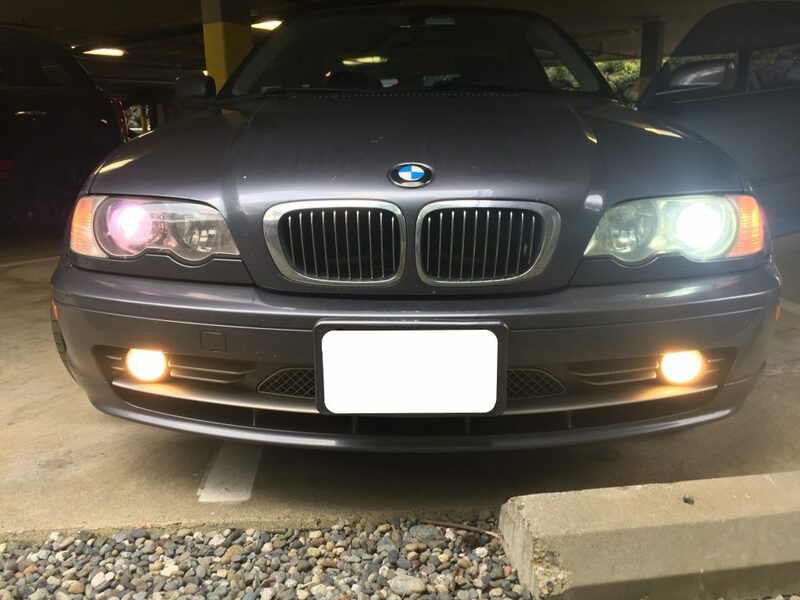 From my reading online (especially the E46 Fanantics post), I gathered that it’s ideal to replace the bulbs together to ensure consistent brightness – I guess the bulbs lose a little bit of intensity over time. So, I picked up a pair of new Philips D2S Xenon HID bulbs. But then, as I was writing this post, I discovered that counterfeit bulbs are prevalent. I went to Philip’s web site to verify the authenticity of the bulbs. Although I had ordered both from Amazon, one of them registered as fake. But, I forgot on which side I placed each of the bulbs! Incredible! I tried to inspect the bulbs to discern for obvious signs of counterfeiting but nothing stood out. Reviewers on Amazon suggested that fake bulbs had caused them issues with the rest of the system, so I decided to return both and try again. Fortunately, Amazon’s return policy is extremely generous and I was able to return both bulbs. Replacements are on the way; pending authenticity verification, I’ll hopefully get these installed soon! As a side note: A friend shared a helpful tip for re-installing the headlight assembly. 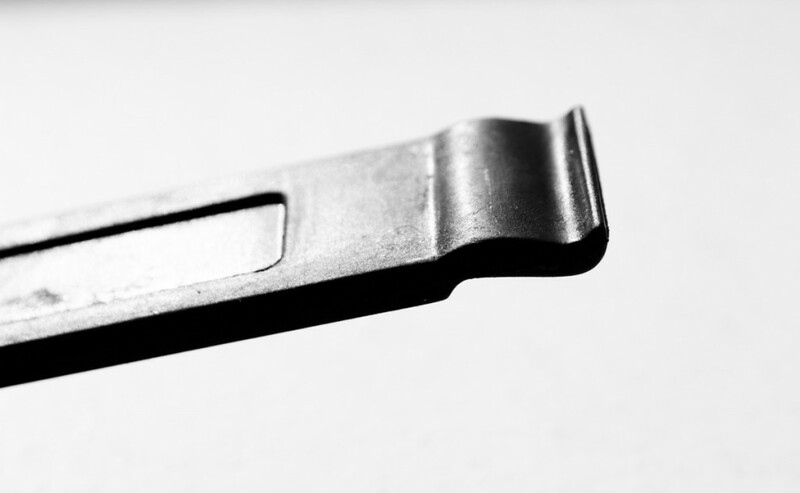 There’s one screw that is particularly difficult to reach (the one Zach, from the video, uses a socket extension to reach). I don’t have a magnet in my socket set, so I was worried about dropping the screw into the ether. I used a small dab of liquid super glue on either side of the screw head, attached it to the socket, and let it dry. In my first couple attempts, one of the socket extensions released but left the socket attached. I removed the screw again and then wiggled it just enough so it could break free from the socket with a little force once it was screwed in. This did the trick, and I was able to reassemble without dropping the screw somewhere unreachable. Last weekend while I was out enjoying Seattle’s beautiful weather, speeding down hills on my road bike, I had the inevitable misfortune of getting a flat tire. So, this week, for the first time in my life (at age 30! ), I set out to learn how to change my bike tire. There is certainly an abundance of tutorials for how to change your bike tire and inner tube, so I do not intend to reiterate existing material. Rather, I wanted to highlight some of the questions I had and share the answers I discovered in the hopes that, if you’re doing this for the first time, too, I may just save you a little bit of time. What tube should I buy? 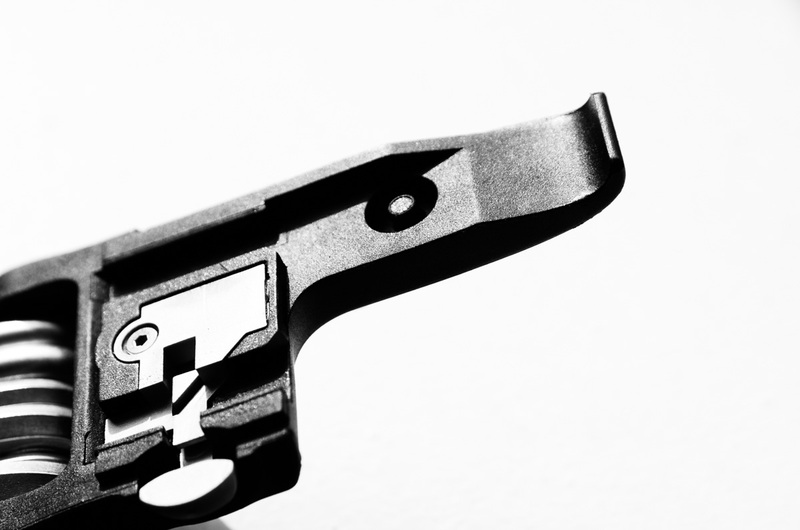 Valve type – presta vs. schrader. I assume if you own a bike pump, you’ve already figured out the difference. Schrader is the type on my car, Presta was engineered to facilitate pumping tires to higher pressures and is the one I have on my bike. Valve length – based on the depth of your wheel. Unless you’ve got crazy deep rims, I expect 42mm is sufficient. The size of the tube you need depends on the size of your tire. 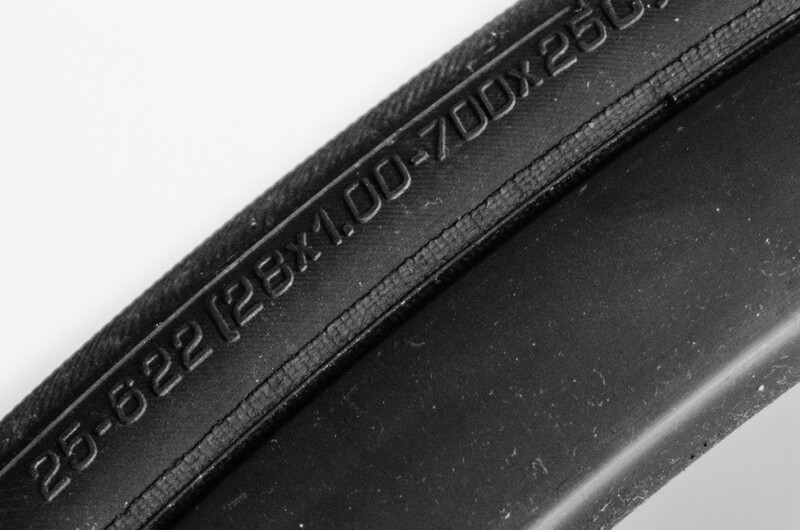 You can find the tire size listed somewhere on the sidewall, just as you would on your car. As is depicted above, my tires indicate 700x25c, so I found a tube that fits tires size 20-25. According to customer input on Amazon, it’s preferable to buy a tube whose range is smaller rather than larger (i.e. 20-25 would be preferable to 25-32). Of course, as with anything I buy from Amazon, I take a look at the customer reviews to make a final decision between competing options. There wasn’t an obvious choice, so I just ended up purchasing the Continental 42mm Presta Valve Tube, size 700 x 20-25. Do I need to replace the tire too? The general guidance as to whether your tire must be replaced seems to be based on the wear on your current tire. If you can see the threads in the tire, or if there are a lot of nicks in the rubber, it seems it would be time to change it. I decided not to change my tire; I had only about 600-700 miles on it, and it didn’t seem to be worn significantly, nor was there much damage to it. After removing it, I inspected it from the inside and concluded that I made the right decision. Once I need new tires, I intend to take a closer look at the Continental GatorSkin DuraSkin Tire, which appears to last a long time and protect the tube quite well. I found removing the tire to be the most difficult part of the job. One of the tutorials suggests using a screwdriver; I prefer to avoid using tools that have the opportunity to inflict permanent damage. (Same goes for removing those panels in the car interior). Plus, I already had two types of bike tire levers on hand. The method I used was the two lever approach. I inserted the first lever and used its “hook” to attach it to one of the spokes and hold it in place. I tried using another of these same levers, but I either had too much difficulty getting it underneath the tire, or else I could not slide it along the rim. 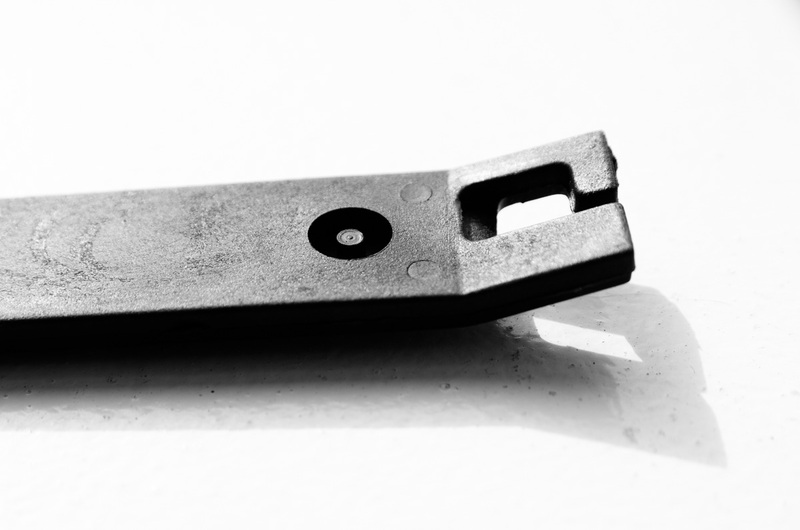 I found the lever on the Topeak Alien II to have a slightly slimmer edge that was more effective at prying the tire from the rim. Compare the two levers; the second is the Topeak. Best wishes on your repair, and happy riding! After several months of inactivity on PayPal, I logged in to my account today to confirm that my address was correct. I noticed that a second address had been added to my profile, one that has not been used in any payment I’ve transacted. So, I called PayPal support and chose the “fraud” option. The first lady I spoke with was able to identify when the address was added, and that it was added as a gift address, but told me not to worry about it … that I must have added it when making a payment. I explained to her that it was not related to either of my *two* PayPal transactions (the most recent of which was in January). I eventually was able to speak with someone with further insight into my account, who explained that someone had gained access to my account, added the address, tried to make a payment, and they had detected it as fraud. I was advised to change my password and security questions. Contrast this with the fraud against my Discover Card this past spring. My CC was first denied, they locked down my whole account, and I had to get a new one. The card was denied before Discover had a chance to reach out to me, but I did receive a delayed phone call AND email notification that I needed to contact them about my account, after I had already called in to address the issue. You didn’t notify me that there was fraud against my account, and that I should change my password to avoid it in the future. Instead, I had to notice the issue two months later, and call you. You let the fraudulent address remain in my account profile. You blocked the email notification I should have normally received indicating that an address was added to my account. Your customer service rep … the one I reached when I said I was calling about fraud … told me not to worry about it. I’m running FileZilla 3.6.0.2 at the moment, and just ran into an issue uploading an htaccess file. Every time I uploaded it, it would appear to transfer successfully, but then the server would report a zero-byte file. I tried renaming the file, no luck. 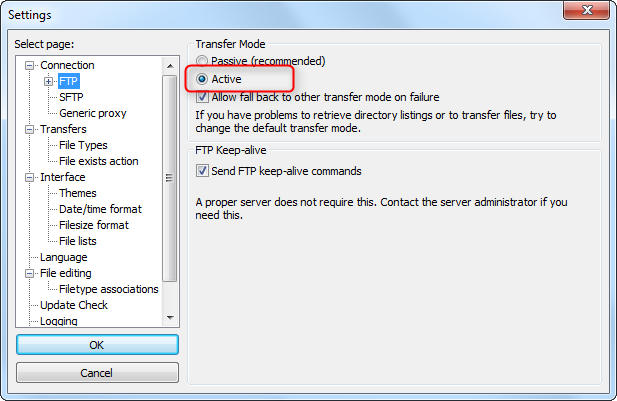 Finally, I got the file to transfer by switching my connection mode to Active instead of Passive. Go figure. Looks like there’s a FileZilla update. I’ll install that in the hopes of avoiding the issue in the future. Edit >> Same issue with 3.7.3. Oh well. Active it is. I’d switch to SFTP; Fluid Hosting sent us a note awhile back stating that SFTP was now enabled but every time I’ve tried it, I’ve gotten a connection failure. After nearly six years, I’ve finally made some updates to my web site … mostly cosmetic. The primary impetus was Stan’s declaration that he would be ending support for / development of BlogSCL. But, I was also feeling a bit behind, not having done anything with HTML5 … not to mention that Ellen is getting into web development. Anyway … maybe someday I’ll actually become a more active blogger once again.